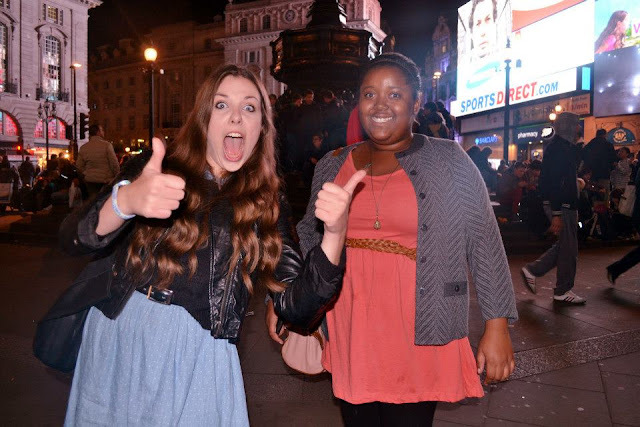 I think I am actually starting to slowly but surely get a social life, yay. 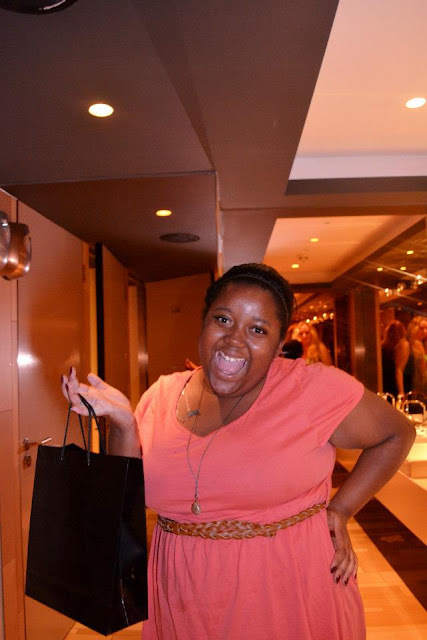 Last Thursday, I was very lucky to be invited to Eylure and Elegant Touch's bloggers events at the W Hotel in Leicester Square, I absolutely love it in there. I went along to the event with Sian, Juliet & Ally. 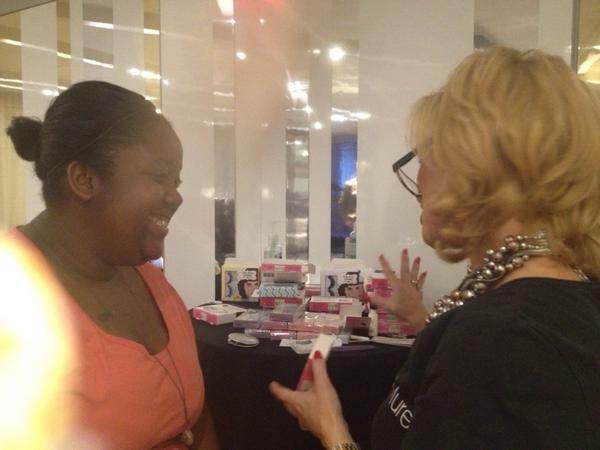 The event was an opportunity for us to see the latest and greatest products from both of the brands. The event was so lovely and was hosted by the lovely ladies from Focus PR & Mediahubb. 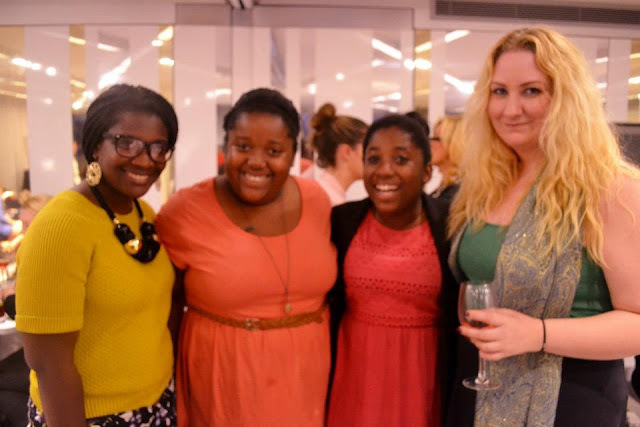 I got to meet some lovely bloggers who I've talked to online and follow their blogs such as Mary, Jess and got to meet the lovely Milly again. The night was filled with amazing cupcakes *That's where I spent most of my night. 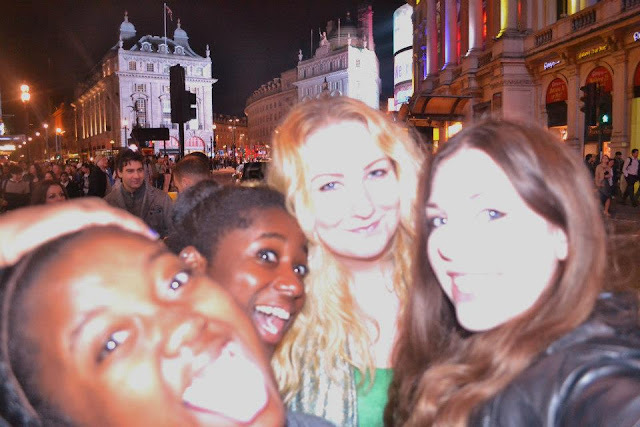 ;)*, wine and lots of giggles. During the night we got talks on both Eylure & Elegant touch and one thing I found so incredible was that Elegant Touch's nails actually went to London Fashion Week and were on lots of the models. 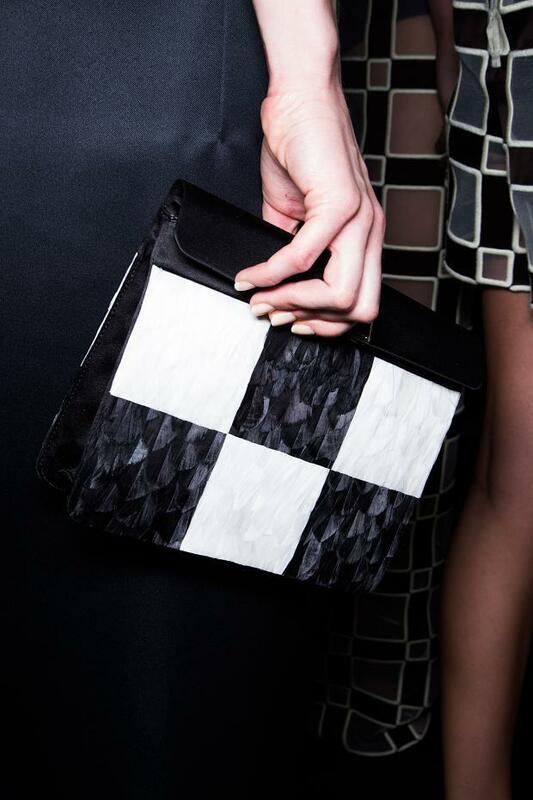 The nails were on models in the Louis Vuitton catwalk which is such an achievement. 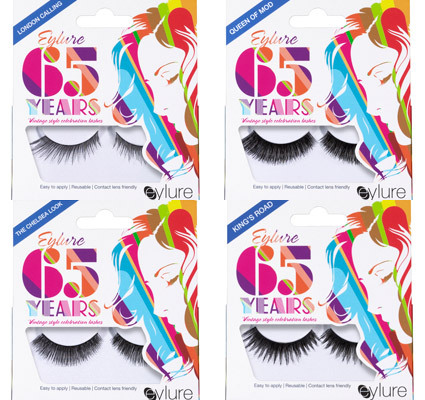 To celebrate the 65th anniversary they've recently launched a new collection of vintage styled lashes and on the packaging of each different eyelash box they've got really cool names on them. The packing is bright and has such a retro feel to it. It's all very 1960's which is the aim they were going for. On their Facebook page they've been adding pictures of women from over the past few years who have the most amazing eyelashes. 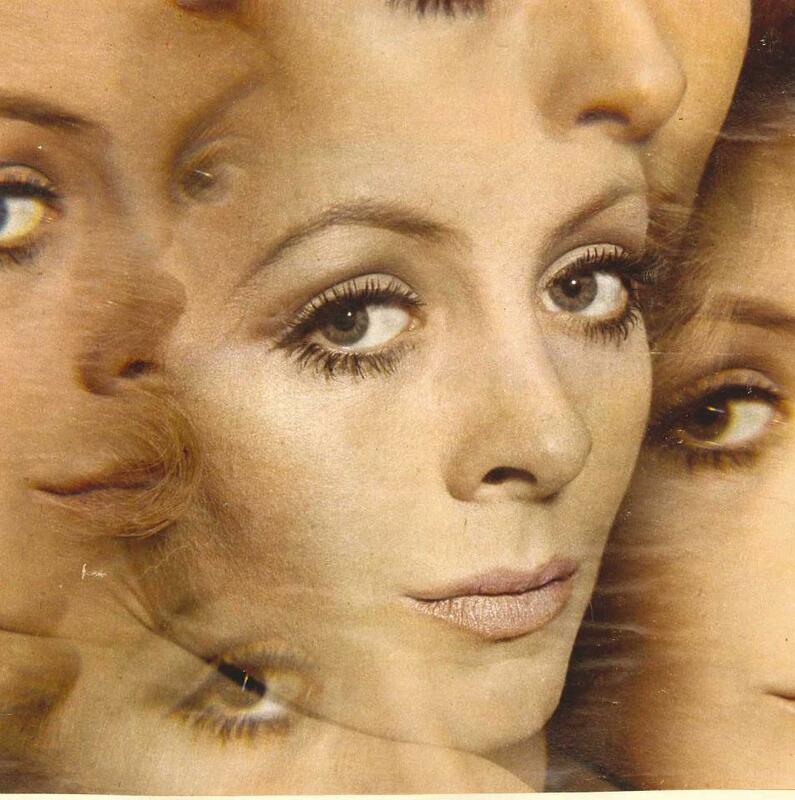 There are pictures of really iconic women. 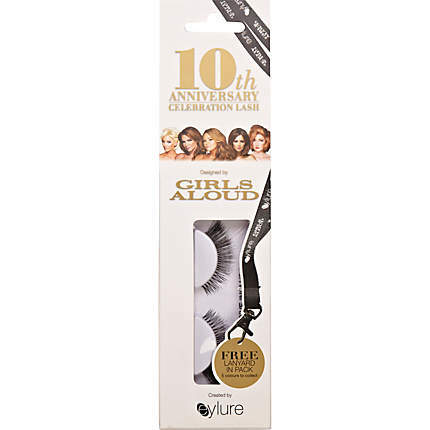 Just to quickly mention, we all know that they were the amazing people behind Girl Aloud's eyelashes and they've recently just launched brand new special addition 10th anniversary eyelashes to celebrate 10 years of Girls Aloud. 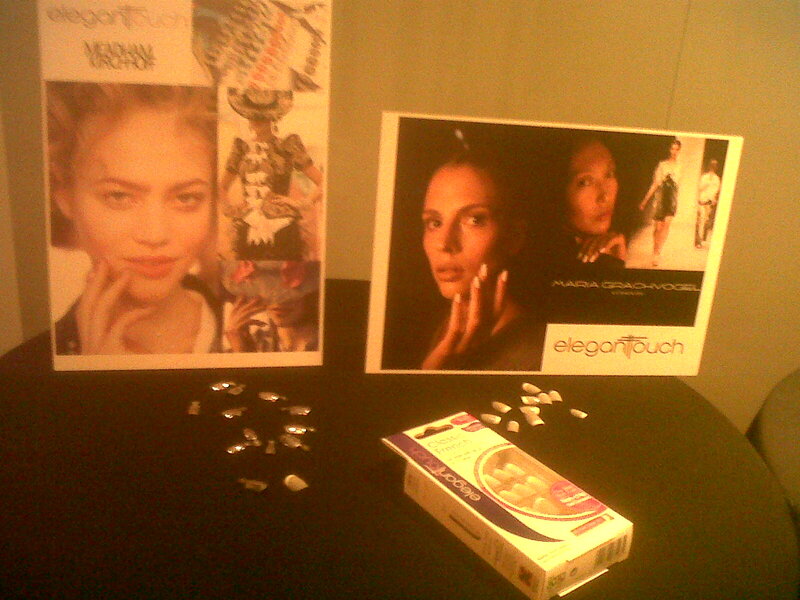 At the end of the night we were all given goodie bags filled with amazing products from both Eylure & Elegant Touch. 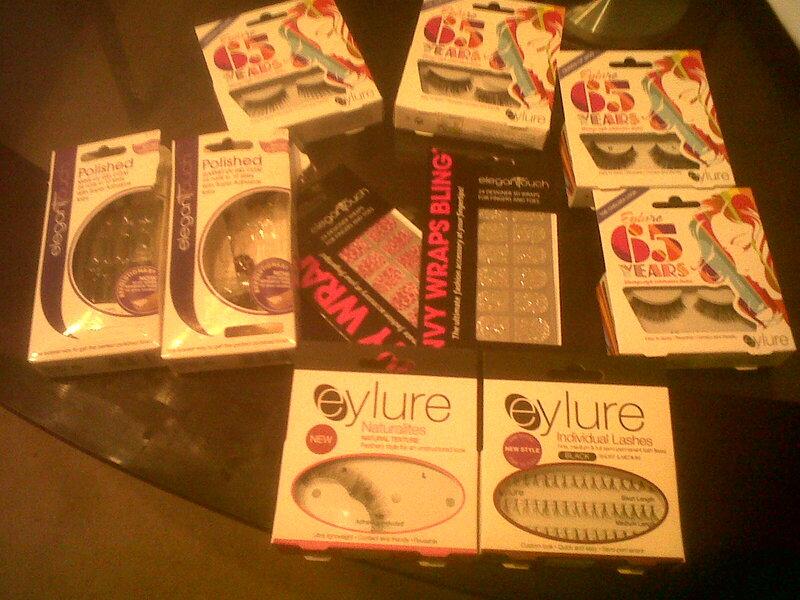 I was really excited to have gotten all these lashes. I really love the 1960's feel about them. 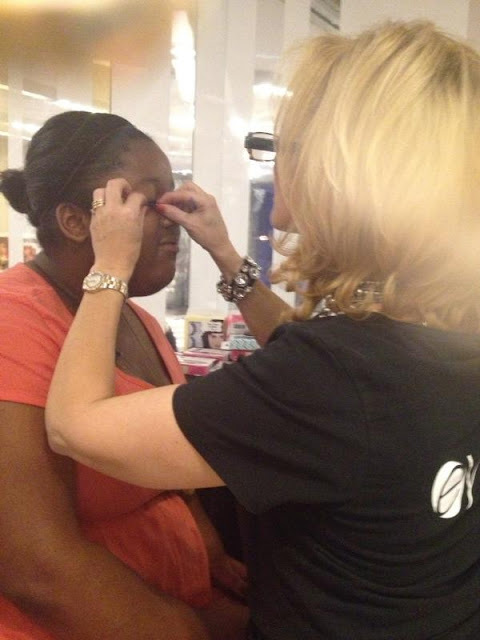 There are four lashes to choose from 'Queen Of Mod', 'London Calling', 'King's Road' and 'The Chelsea Look.' Each of them are so unique and they can be yours for a very reasonable price of £5.25 each. 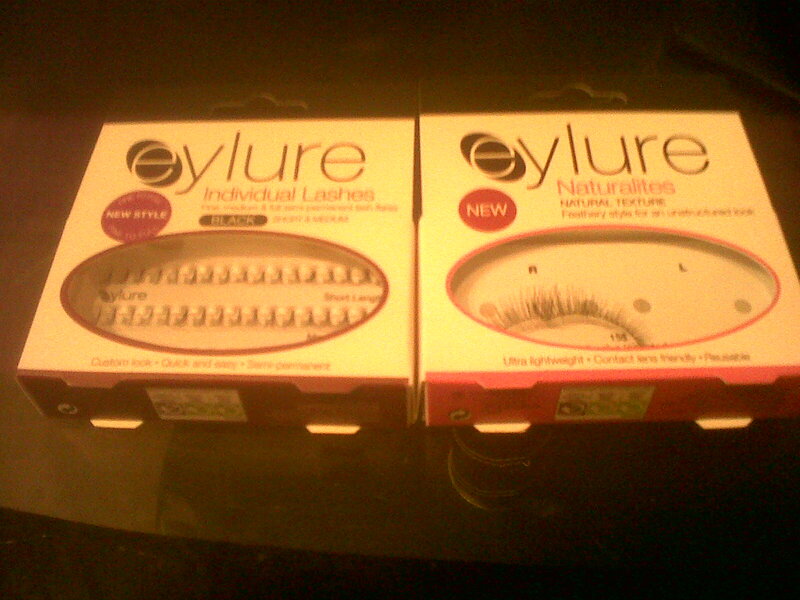 You can pick these beauties up from Superdrug. First off, in my goodie bag I received Eylure's individual false lashes which I'm really excited to try as the makeup artist at the event said that those are really good if you don't want a full set of eyelashes and just want to gradually put individual eyelashes on. 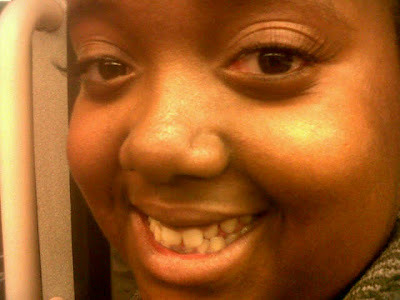 They give your eyes a really natural look to them. Secondly, at the event there was a makeup artist who put fake eyelashes on anyone who wanted them. I decided to try some out and as I've never worn fake lashes before *shocker* she said she wanted to give me a quite natural look so she put Eylure's 'Naturalites Natural Texture 155' on me. I absolutely loved how it looked on me and don't think it was too much. If I was going out on a night out they would definitely be a pair of lashes I'd wear out. 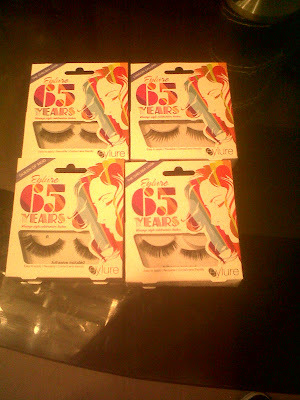 I know you can buy both pairs of these eyelashes from Superdrug & Boots for £5.25. 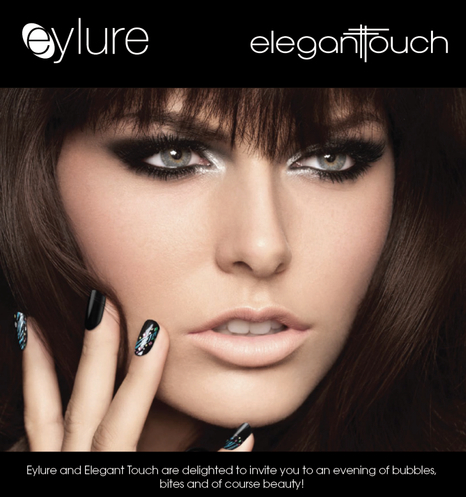 Elegant Touch recently launched a collection of long-lasting, high-gloss Autumn/Winter UV Gel Polished Nail shades. At the event there were two nail artists who had lots of nails for you to pick from, you could have things from French manicures, nail wraps to these amazing nails. 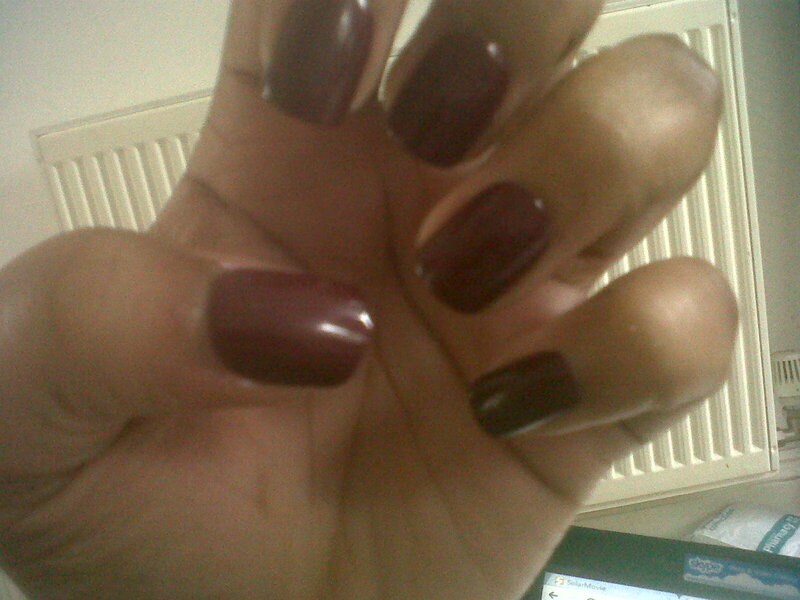 I opted for the nails in Garnet, which is like a deep cherry colour. I have to say that probably every blogger at the event got their nails done, Garnet was literally such a popular choice with everyone there. I just think the whole process of putting the nails on to how they look at the end is insanely amazing, I'll be doing a post on it very soon. I also got another packet of nails in 'Mink' which I can't wait to try out, its like a deep blue colour. I'd definitely recommend buying a packet or two for friends/family as Christmas presents. 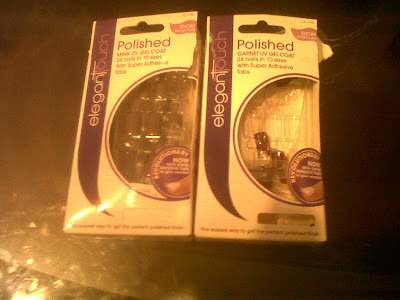 You can purchase these and other colours/designs from Superdrug & Boots for £6.75. 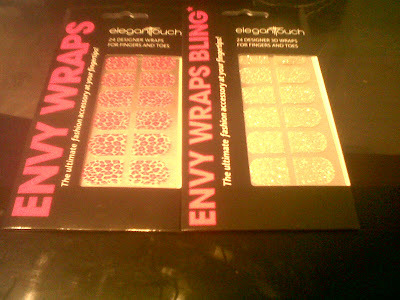 Lastly, Elegant Touch have added four new styles to their best selling Envy Wraps and Envy Wraps Bling Collection. These wraps are perfect for the perfect manicure in minutes. 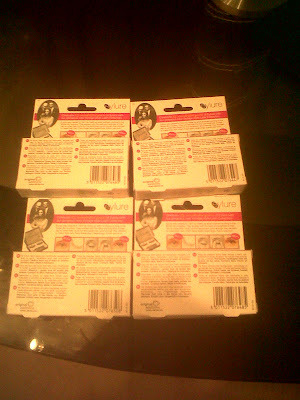 I got the 'Pink Leopard' and 'Silver Simmers' wraps in my goodie bag. I've never tried nail wraps before and I can't wait to see the results of these. You can get these from Superdrug and Boots. Have you purchased or will you being purchasing any of these products? Wow looks like you had a lot of fun!!! 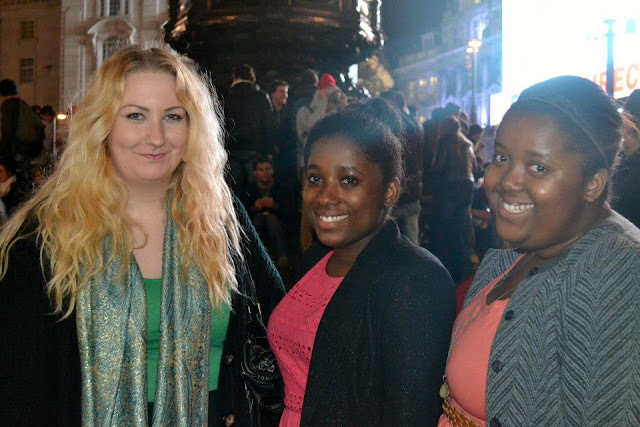 I need to go to London to go to one of these events they look so fun! So jealous of this event!! 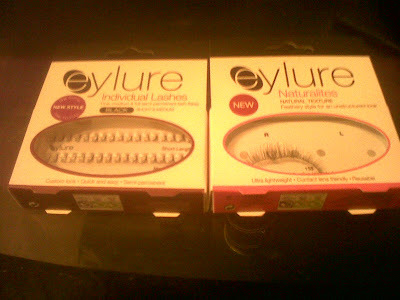 I love eylure esp the new lashes which have come out! !